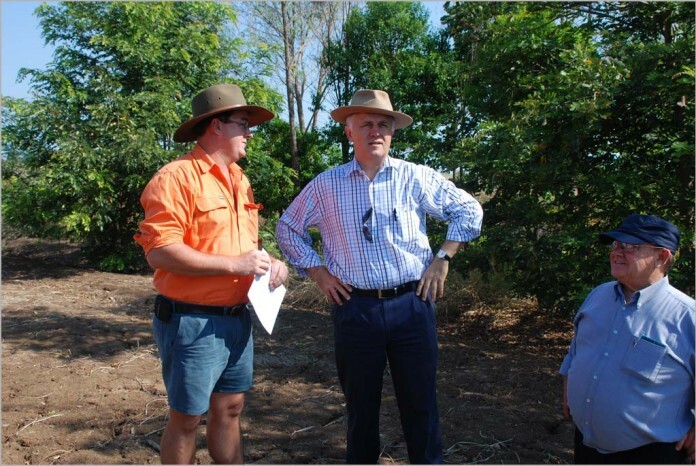 news The Prime Minister Malcolm Turnbull has announced three new initiatives lead by the National Farmers’ Federation (NFF) that promise to bring Australian agriculture fully into the digital age. Aimed to transform Australian agriculture and help the industry take advantage of growth opportunities, the new measures include an incubator for agricultural startups and technologies, a Digital Agriculture Service and an online platform for Australian farmers. According to a statement announcing the measures, the initiatives are underpinned by partnerships with the National Broadband Network (NBN) and other big names in technology, communications and finance. The NFF’s new Online Platform will to deliver up-to-date food and agribusiness news, weather and market information; promote best management practice; and provide member benefits, blogs, commentary. Planned for launch in May 2016, the platform will also provide a voice for the agriculture industry, via campaigns and live policy development. The NFF, in collaboration with Accenture, will also develop what it is calling the Digital Agriculture Service (DAS). This will securely deliver new digital technologies and services to help ensure Australia’s agriculture sector remains globally competitive. Harnessing Accenture’s global capabilities, the NFF plans to help Australian farmers make better data-based operational decisions that “optimise yield and boost revenue while minimising expenses”. The DAS will be a global first for an industry-owned suite of tools, the NFF said. “By creating a new digital service by farmers, for farmers, the NFF, in collaboration with Accenture, can help avoid the scenario playing out overseas where farmers are overwhelmed by complex and disconnected data locked away by individual service providers,” Talbot said. By taking advantage of major innovation trends such as Big Data and the Internet of Things, tools like the DAS have the potential to revolutionise agriculture and add as much as $5 billion to farm gate returns in coming years, the NFF said. The service should launch for all farmers in 2016, commencing with specific solutions for the cotton, beef and horticulture sectors, with other commodities to follow soon after. The last of the three measures – dubbed ‘Sprout’ – is a new innovation hub for agricultural technologies, that will “identify, foster and promote the best new ideas in the food and agribusiness arena”. The NFF said that, alogn with Crowe Horwath parent company Findex, it has assembled an expert assessment panel and is developing relationships with capital partners to provide agricultural entrepreneurs with financial backing. “The agriculture sector has a proud history of innovation, often led by our farmers themselves,” Talbot said. “As the pace of innovation globally continues to increase, we need pathways to identify the best ideas and get them to market sooner in order to remain at the cutting edge”. Considering everything will be paid for by budget cuts I wonder what is getting cut for this. Meh – we’ve been innovating in the agribusiness sector for the last decade – but a press release later and this is suddenly “leading innovation”?